WordPress site for local law firm Tolman, Kirk, Clucas. These law offices have been around for years, but they came to True Northe for something new: a website. I suggested they use WordPress as their platform, so they could make changes and updates regularly. 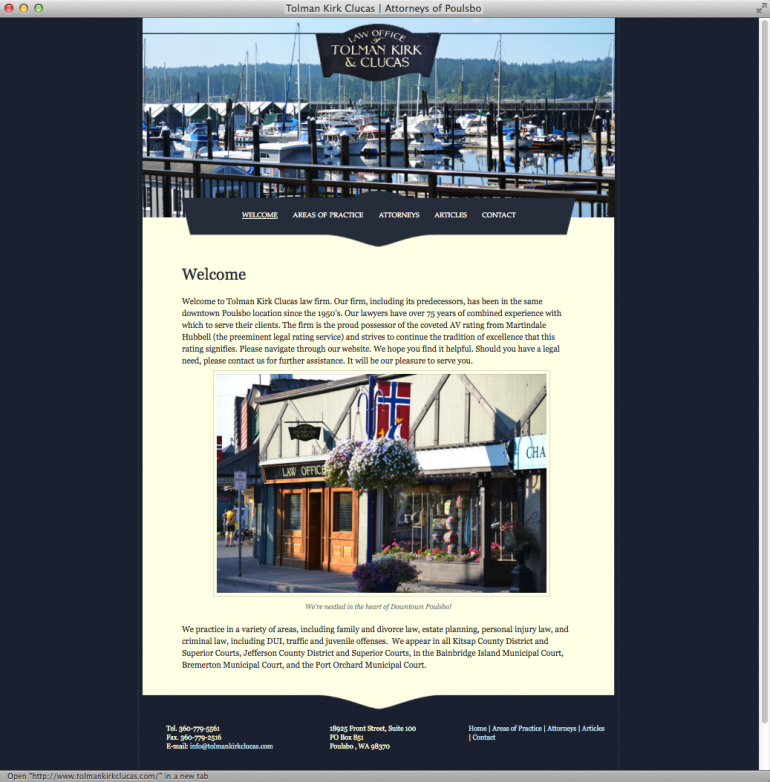 The design is both professional and maritime, as the firm is located in downtown Poulsbo, off the waters of Liberty Bay.